Minimalistically designed building. 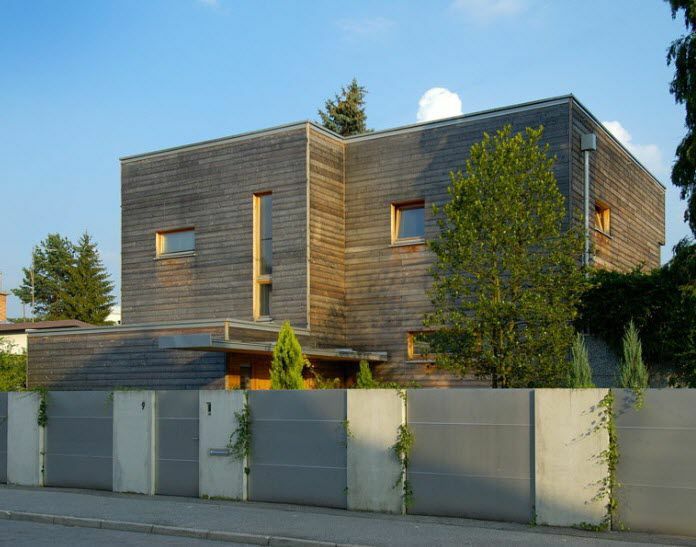 The plain natural design is completed by an untreated larch wood façade. Due to its natural appearance and greying of the wood, the house blends in with its environment more and more.